Atan2() function is used to find the arc tangent for the given inputs (y/x – parameters) in Go language. 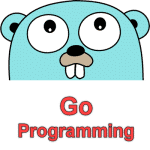 The standard math package of Go programming language has Atan2() function. The purpose of this function is to find the arc tangent of y/x and it will also find the quadrant of the return value (output) by using the signs of both arguments (x and y). x , y – Where both x and y is any Valid float64 Input value. These parameters are required. If the x or y parameter are not numbers (numeric values) Atan2() function returns an error . If there is no argument (x,y – input value) passes to the function, then the compiler will produce an error. Atan2() function will returns the arc tangent of the given inputs(x and y– parameters). It uses the signs of two inputs to determine the quadrant of then return value.